Take advantage of the best Bottled Water value in the Texas Gulf Coast! $8.58 for Drinking/Purified Water and $9.52 for Spring Water per 5 Gallon Bottle of Drinking Water! 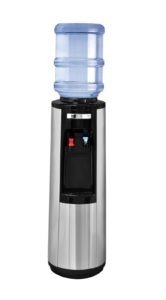 Service will automatically continue at the best value in the area starting at $9.50 for Hot and Cold, $7.50 for Room and Cold per month for cooler rental and $8.58 for Drinking/Purified Water and $9.52 for Spring Water per bottle delivered. Simply fill out the contact form below or call one of our offices Monday-Friday 8:00am to 8:00pm to schedule a time for your first delivery.